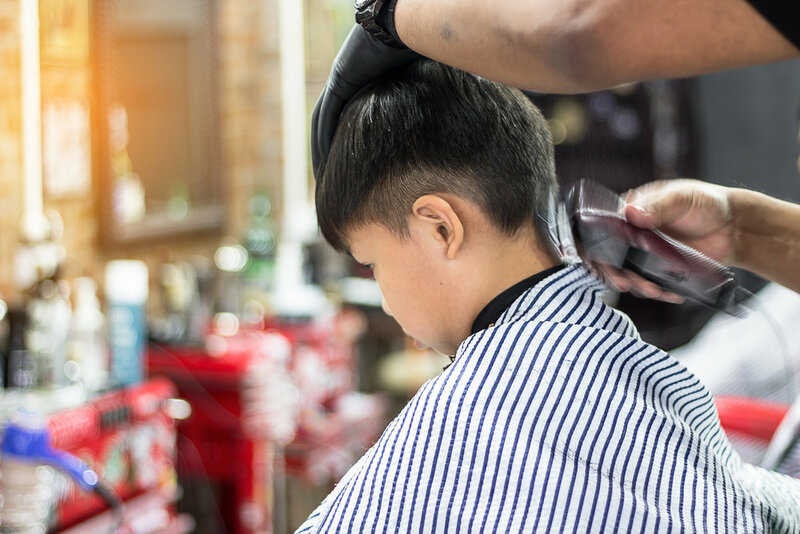 Regal Barber Co. Vs Great Clips: Which is the Best Barbershop for Kids? There are a lot of barbershops sprouting everywhere recently, but only a few offer the latest trends in kid’s haircuts. Getting a good haircut is important, not only for adults but for young children as well. Giving your little man the latest hairstyles for his age will not only make him look good but will also earn him compliments, thus making him feel good about himself. So why is a good haircut important for kids, you ask? Here are four reasons why! Giving young gentlemen a good haircut makes them look neat and smart. A good haircut for kids makes a good impression, especially for school children. A good haircut keeps the hair healthie, making them grow out nicely. A good haircut teaches young men about personal hygiene. With the growing number of latest hair fashion recently, it’s easy to get confused as to which haircut suits your kid the most. Whatever hairstyle you decide for your son, it’s always best to complement it with his personality. Does he have the good boy aura? Perhaps the classic short haircut is the best choice. How about a haircut for those with a mischievous personality? Then a medium length hair is a perfect match! If you don’t have the know-how about haircuts for boys, then a little help from the best barber is all you need. The master barber is knowledgeable about haircuts and can recommend the best choice for your son. Choosing a barbershop that offers children’s haircuts as their forte is quite difficult since most haircut places target adult men and women as their main market. To save you the hassle of googling the best places for kid’s haircuts, we’ve compared two of the most popular go-to options for a kid’s haircut in Utah. Regal Barber Co. was established in 2016 by an entrepreneur and a master barber himself, Albert Archuleta. Not only is Regal Barber Co. known as a modern establishment for men’s haircut, the shop also offers the best barbering services for the young gentlemen. · Regal Barber Co. is a homegrown barbershop located in Utah. · Residents living near the area can easily drop by the shop to avail their services. · They do appointment system through their website, but they also accept walk-in customers. However, the barbers from Regal Barber Co. encourage their clients to book an appointment so that they can be accommodated accordingly. · The master barber and the staff of Regal Barber Co. are highly-trained, and they specialized in men’s hairstyles, including haircuts for boys. · Customers can have a free consultation with the staff before they do the actual haircut. · They do the basic haircut for men, both kids and adults. · They also offer hair braiding for clients with long locks and afro hair. · The shop also offers shaving services with the use of traditional razors. · They also offer neck fluff cleaned up along with eyebrows trimming. · Regal Barber Co. specializes in what they call “the cut and design”. Cut and design brings out your son’s unique personality. · At Regal Barber Co., men can go all out and get pampered. They offer their clients what they call “the works”. It includes a clean cut, a shave, and a neck fluff cleaned up with eyebrows and ears trimming. · For the finale, a hot towel treatment for the face that leaves a smooth sensation is also available. · Since Regal Barber Co. is a homegrown barbershop, potential customers who are far from the place may need to spend more on fares just to avail the services offered by the shop. · Since it is a barbershop, it mostly caters to men and boys only. Their rates are a bit higher as compared to standard barber shops, but with the kind of service and pampering they offer to their clients, the rates are reasonable enough. However, some customers still prefer the cheaper option, especially those who are tight on budget. David Rubenzer, a businessman and stylist, and Steve Lemmon developed the concept of a walk-in salon, which is now known as Great Clips, Inc. The first branch of Great Clips was in Dinkytown area near the University of Minnesota campus. The company grew over the years, and franchised salons were established in different states. Today, there are 4,300 Great Clips salons across North America, and one of which is in Utah. Listed below are some advantages and disadvantages of this hair salon franchise. · With the bigger number of Great Clips franchise available, customers can easily avail the services offered at the local Great Clips salon near them. · Great Clips salon customers can use the salon locator on their website to locate the nearest salon franchise. · Great Clips is more of a walk-in salon, so they do not require their clients to schedule an appointment before arriving at the place. However, do also accept appointments, especially for a full service. Since the place caters to men, women, and kids, Great Clips can be too crowded at times. Fortunately, they have this online check-in app in which customers can use to add their name to the waiting list before heading to the place. · Great Clips salon caters to men, women, and children. · They also sell hair care products to their clients. · Aside from the usual haircuts, they also offer hairstyling, hair braiding services, and conditioning treatments. · They also do bangs, neck, and beard trimming. · With their online check-in, customers can save a place in line and be on the salon’s waitlist. However, this does not guarantee that when you arrive at the salon, it will be your turn to be served. Waiting time still depends on the number of customers. · Not all franchised branches offer the same services. Some have complete hair services while others only feature a few. So, it’s better to personally call or drop by a visit to the salon beforehand. · There is no fixed price for the services offered. Service rates vary depending on the location of the salon. · They do have salon experts (but not in all franchised branches), but they also accept new graduates to work for them. So, if you want a master barber to do your son’s haircut, then this is not the place for you. You Know Where to Go for Walk-in Haircuts Near Me in Utah! Considering that Utah has a lot of barbershops to choose from, Regal Barber Co. is still the best choice for most residents. Barbers at Regal Barber Co. do not just specialize in children’s haircuts; they also have their master barber who is more than competent when it comes to men’s and kid’s hairstyles. His expertise also attracts patronship. Find out what makes Regal Barber Co. the best barbershop in Utah below! Since Regal Barber Co. is based in Utah, it might only take a few minutes for you to reach the shop if you live in the area. This means you no longer need to travel to far places just to give your little one the best haircut. Given that boy’s hair grow fast, having your favorite barber shop nearby is indeed a great advantage. Having a good reputation among its clients is what Regal Barber Co. is known for. Customers’ feedback plays a big role in every business and of course, you would only want your son’s hair to be groomed by the most reputable barber in town. Since Regal Barber Co. offers a wide array of services; thus, you will never run out of haircut choices for your son. May it be a clean cut, hair braiding, or haircut with design, barbers at Regal Barber Co. offer the best service at the most reasonable rate. The combination of the services, the friendly staff, and the relaxing ambiance of the place makes it the most trusted barber shop in the area. Since latest hair fashion changes every year, choosing the best haircut might be a challenge for parents. Good thing, some of the classic kid’s haircuts are still on trend nowadays. As for the little boys, you would want their haircut to reflect the kind of man you wish them to be. There are a lot of haircuts to choose from, depending on your taste and preferences to make your little one look exquisite. So, if you are having trouble in choosing the right cut for your kid, check out these five haircuts for kids and narrow down your list. A short haircut is the most classic haircut for kids. Short hairstyles are easy to manage and still look great even without styling. This type of haircut has been popularized by Elvis Presley. David Beckham is also seen having this type of hairstyle. In the pompadour haircut, the hair is swept upwards from the face with a clean shave on the sides. This haircut suits boys of all ages and can be customized depending on your preference. Short spiky haircuts are popular because it is easy to manage and requires minimal washing. This kind of hairstyle looks good on boys even without styling. Furthermore, it doesn’t require frequent visits to the barber, perfect for parents who have a busy schedule and can’t take their kids to the barber often. The side part haircut is a classic men’s hairstyle that also looks good on boys. The ultra-short side part adds structure to the hair. This hairstyle works for finer hair types. If you are torn between growing your kid’s hair or just having it trim, this haircut is surely the best pick. It will not only give him the versatile look, but it can also be styled to suit any occasion. When choosing a haircut for your kid, take into consideration the shape of his face. Fortunately, barbershops with a master barber can help you decide on this matter. Our hair reflects our personality and character. As a man, having a good haircut makes us look and feel attractive. It also boosts our self-esteem and allows us to execute our daily tasks better. The same principle applies to boys. Giving them the best haircut will make them feel good and ready for the day’s tasks, especially during school days. Remember, a good haircut is deserved by everyone— may it be an adult or a kid. Want to book your kid’s haircut? You can visit Regal Barber Co’s website at https://regalbarberco.com/ and make an appointment. © 2017 Regal Barber Co. All rights reserved.